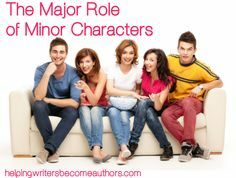 Minor characters in a story can provide opportunities to develop plot and add depth to main characters. Richness, intrigue and interest can be woven into the story by letting the minor characters provide foreshadowing, backstory, and show different aspects of the setting and main players. Having interesting, well developed and believable minor characters makes for a better novel overall. Whenever possible — when I need a minor character for a “function” – a teacher, an employer, a store clerk etc., looking to see how a relationship/friendship that relates to one or more of my main characters just might enrich the plot. Instead of having “throw away” or cardboard characters, or combining two or three minor characters into one with more depth makes a more relatable story. Of course there will always be a cast of unrelated “bit part” characters who show up once and disappear, but if possible, even those should be as developed as much as possible. In my “practice novel,” a rescue team is introduced around the midpoint. They haven’t existed in the early chapters, but will have a major role in the second half. I had two minor characters fulfilling minor functions early on, and I have consolidated them into one character. This new minor character, who has been a teacher of the protagonist, becomes a contact point between the protagonist and the rescue team leader. He is the leader’s brother. The brother’s expanded role makes parts of the story more plausible, and more interesting. This expanded role allowed me to add more depth to the team leader, as well as the protagonist. It increased the level of intrigue, and I will use him again farther into the story. Writing a story is like weaving a tapestry. By interweaving the colors/characters, it starts to build a beautiful picture, and develops more depth while using a smaller cast. It got me thinking and looking deeper into the subject of knowing your characters. What she was describing sounded like world building, not just scene and setting development. Building a scene or setting is necessary to story writing, but taking the time to build an understanding of the world they live in seems overwhelming. It makes sense to do so, however. If you know what molded your character, their history, unique genetics, family and cultural background, they become more alive and complete. Characters can gain richness and authenticity. Plus, consistency in speech and action as well as dialog should flow more naturally. 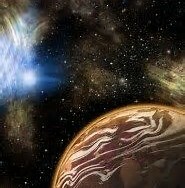 SciFi and fantasy writers aren’t the only ones to benefit from world building. I believe what Ms Woodsmall is advocating is similar. To become an author is relatively easy if you keep at writing. But to develop into a “good” author requires learning the craft and how to make the “magic” happen. That requires perseverance and dedication. Here’s the summary of this lesson learned, and I am adding it to my page: Lessons I’m Learning… on my journey to becoming an author. #8 World Building isn’t just a SciFi writers thing. In order to have depth, and have your characters truly speak for themselves — you must know what makes up their world. Scenes and settings should be a reflection of their world. Where did they come from culturally? What were their parental and familial influences? Genetic hereditary? Geographical, spiritual, historical, political influences? How did their specific background mold them into the unique individual they have become? Add to this their present situation and circumstances, what they look like– their habits, pursuits and activities, likes and dislikes,–and you will know them deeply. Once you have built “their world,” they can spring to life and speak for themselves.